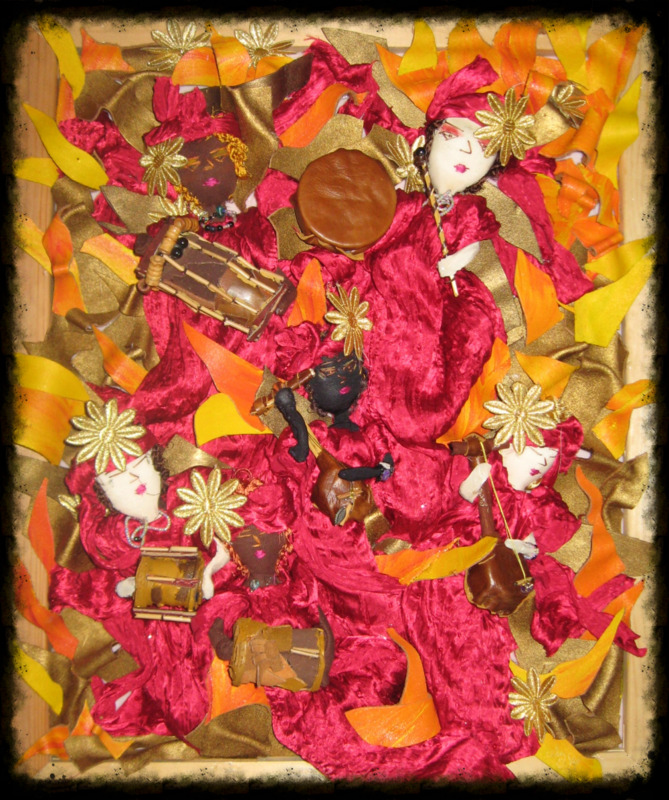 This paintings is made with several, hand made cloth dolls and various handmade instruments made of leather/suede and cinnamon sticks, offering different textures to the senses. The doll art, is on a 24 X20 wooden frame. Ready to grace your wall. One of a kind.